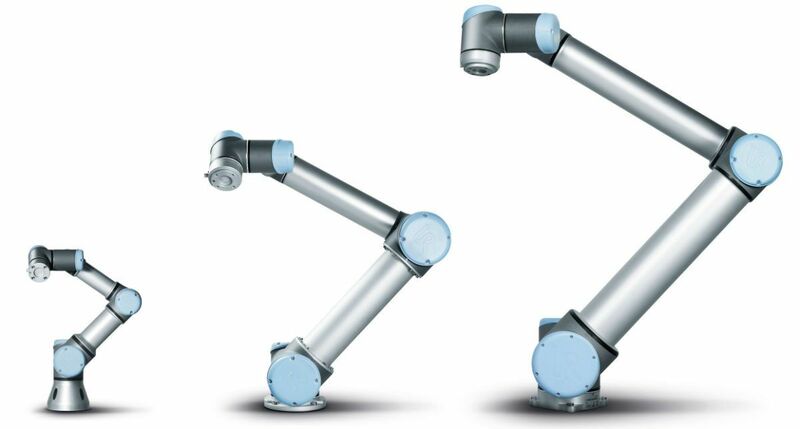 Around the world, thousands of UR robots work collaboratively right alongside humans - with no safety and no problems. 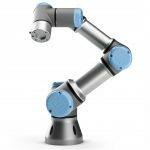 UR3 table-top robot is perfect for light assembly tasks and jobs that call for precision and versatility. Payload: 3kg / 6.6 lbs. Weight: 11kg / 24.3 lbs. 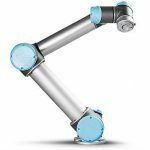 UR5 is a mid-sized robot arm that is ideal for low-weight tasks such as picking, placing and testing. Payload: 5kg / 11 lbs. Weight: 18.4 kg / 40.6 lbs. 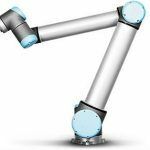 UR10 automates heavier, longer-reach tasks like packaging, palletizing and pick-and-place. Payload: 10kg / 22 lbs. Weight: 28.9kg / 63.7 lbs.